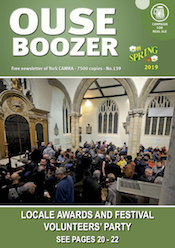 This entry was posted in OB139, Ouse Boozer, Ouse Boozer Magazine on 3rd March 2019 by Neil. 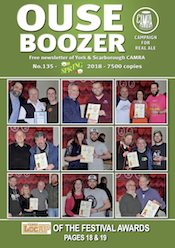 This entry was posted in OB138, Ouse Boozer, Ouse Boozer Magazine on 15th January 2019 by Neil. 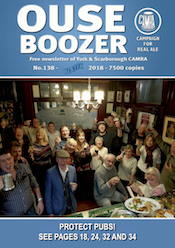 This entry was posted in OB137, Ouse Boozer, Ouse Boozer Magazine on 15th January 2019 by Neil. 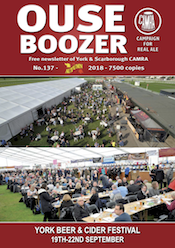 This entry was posted in OB136, Ouse Boozer, Ouse Boozer Magazine on 4th June 2018 by Neil. 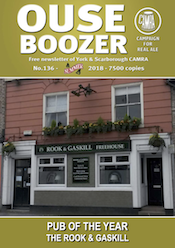 This entry was posted in OB135, Ouse Boozer, Ouse Boozer Magazine on 4th June 2018 by Neil. 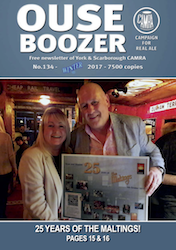 This entry was posted in OB134, Ouse Boozer, Ouse Boozer Magazine on 14th December 2017 by Neil. 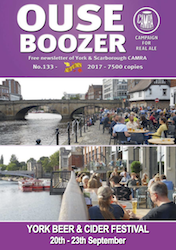 This entry was posted in OB133, Ouse Boozer, Ouse Boozer Magazine, Uncategorized on 4th September 2017 by Neil. 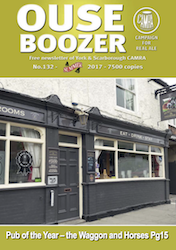 This entry was posted in OB132, Ouse Boozer, Ouse Boozer Magazine on 5th July 2017 by Neil. 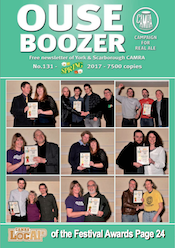 This entry was posted in OB131, Ouse Boozer, Ouse Boozer Magazine on 14th March 2017 by Neil. 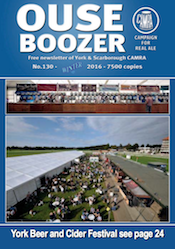 This entry was posted in OB130, Ouse Boozer, Ouse Boozer Magazine on 11th December 2016 by Neil.